Fix bayonets! : Battalion, Forward! Батальон! вперед! Ladies and Gentlemen, I present to you the first battalion of the Galitz regiment of foot. All models are Foundry. 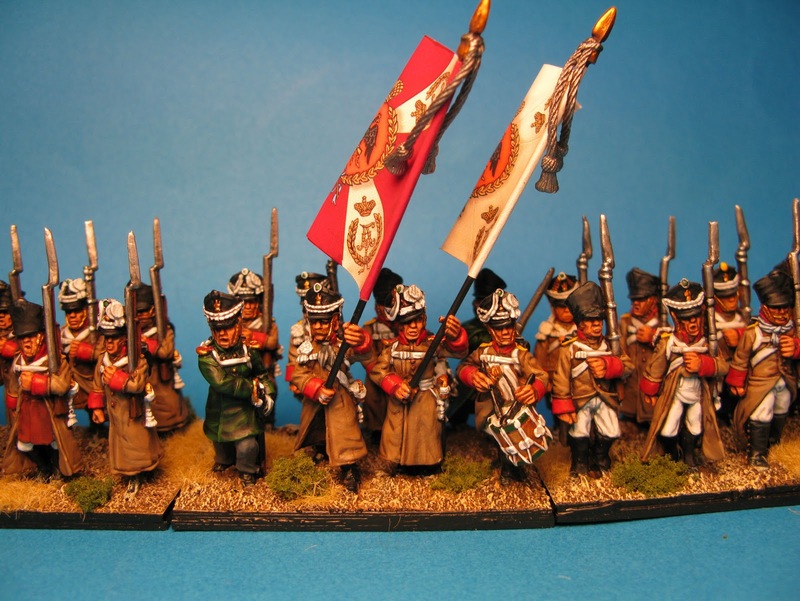 One last thing I did was to order some test figures from Front Rank and I have to say that the rest of my Russians will be from them and not from Foundry! The Front Rank castings are so clean and the detail so clear on the models! хорошо! 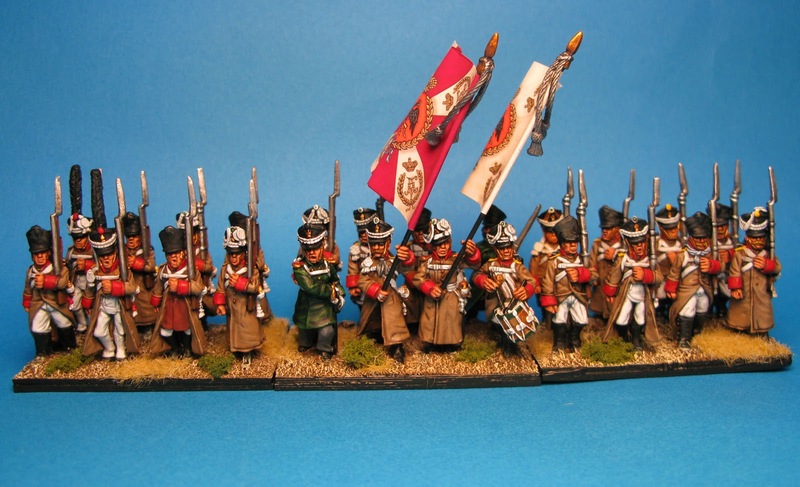 Great looking regiment, comrade. 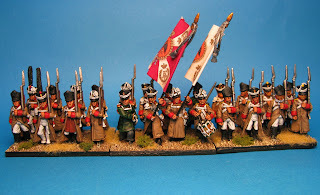 I still think the Napoleonic Russians are amongst The Foundry's best work, and you do them justice here. Ah, trials and tribulations of basing. I use the thick Litko bases, and I've learned that it is worth giving both sides of the base a coat of varnish first. This helps prevent warping both when gluing the figures down and painting the base, and later when the wicked Tokyo humidity comes to visit. Another trick when a lot of minis are going on a base is to use epoxy to glue the figures down. I use the slow-setting stuff as it takes a long time to set, giving me time to arrange the minis to my liking. I spread it liberally over the base, and you could even add sand at that point. The reason for warping is of course moisture, and the epoxy helps prevent this. I usually add PVA, sand and/or acrylic wood putty to the base to texture it, and the thin layer of epoxy acts as a barrier to prevent the water from soaking through and buggering the whole thing up. Good to see you doing Russians. I wish I could paint as fast and as detailed as yourself. The GMB flags really finish them off well! 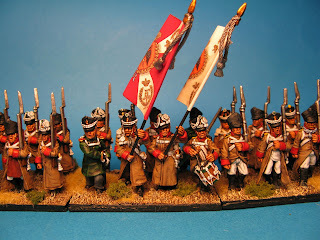 Nice looking figures and very well painted. Regarding the bases, that's what I call dedication, I think I would have just bought some thicker bases and used the others to throw at next doors cat when he's trying to crap in my garden!